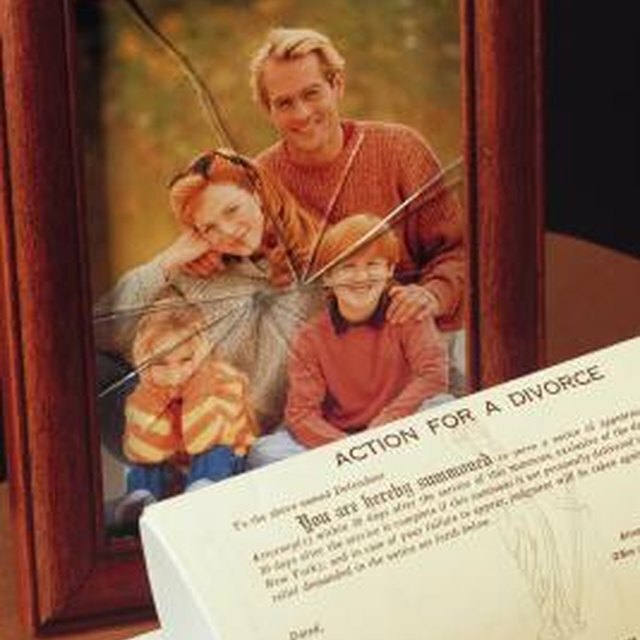 A divorce can affect children and the psychological health of a couple. 3 How Can Having a Child With Autism Affect Your Marriage? Couples exchange wedding vows with the intent of making a lifetime commitment, however there may come a time when it's best for the marriage to end. When contemplating divorce, it's important to evaluate the advantages and disadvantages not only for yourself, but for your spouse and your children. Divorce divides a family financially and emotionally, which may improve life for all, or exchange one set of problems for another. Consider the benefits and drawbacks for all involved before filing those divorce papers. Divorce doesn’t just affect the couple who is splitting; children feel the impact, too. A disadvantage is the negative impact it will have on children. Researchers and psychologists accept that divorce can negatively affect toddlers and teenagers, according to the University of Massachusetts Lowell. Toddlers will often believe they are to blame for a divorce, while teenagers may feel pressured into siding with one parent or the other. A child of divorce may develop commitment issues and doubt his ability to marry. Some may also suffer depression because of the break-up of their family. An argument against divorce is its negative effect on a couple’s psychological health. “Divorce has been rated the number one life stressor,” according to Arizona State University. Adults can suffer a negative psychological balance, including high levels of anxiety, unhappiness and depression. Your psychological and emotional well-being can, therefore, be severely damaged by divorce, and it can affect the rest of your life. The impact of divorce on children has been stated previously as a disadvantage. However, there is an advantage to a child’s parents splitting up. A child who experiences divorce may mature quicker and develop responsibility at a younger age. If a child’s father moves out and she has younger siblings, she may have to take on a co-parental role with her mother. This exposure will give her a sense of responsibility that other areas of her life can benefit from. Also, children will benefit from divorce if there is a high level of conflict in their parents’ marriage. It is unhealthy for children to be around parents who fight and criticize each other. An advantage to divorce is the personal growth a person goes through after the event. “Divorced individuals report higher levels of autonomy and personal growth than do married individuals,” says Miami University professor of philosophy, Robin L. Graff-Reed, in her article, "Positive Effects of Stressful Life Events: Psychological Growth Following Divorce." This is because divorced individuals have to become self-sufficient and cope with the pressures of everyday life by themselves. After divorce, individuals can develop the personal skills that can help them work towards a better quality of life for themselves and their children. University of Massachusetts Lowell: Does divorce usually lead to long-term negative consequences for children?